As you might have seen in my former posts most images are shot with what I call dark light. Specific light in a dark/shady environment. Here are some of the images belonging to my portfolio Fine Art Portraits. During my several trips in Myanmar I travelled far away from the normal roads and so I crossed many minorities. 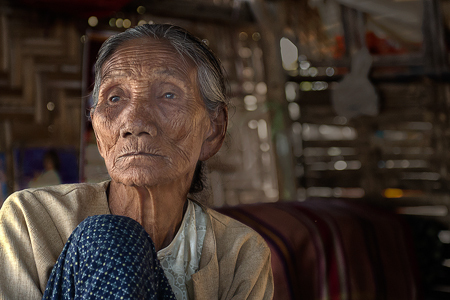 A woman in a cottage in one of the small vilages around Mandalay. 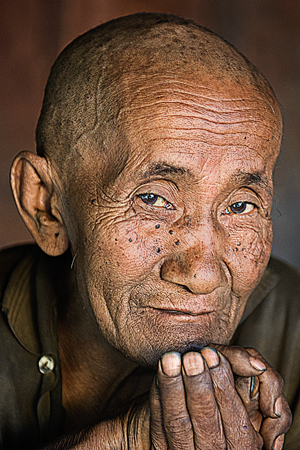 An old man sitting in front of his “long House” hours walking away from Kyaing Tong. 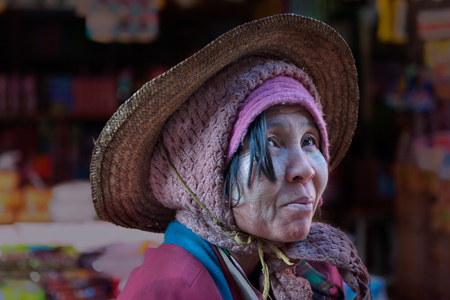 A market woman in her shop in the place called Loikow. 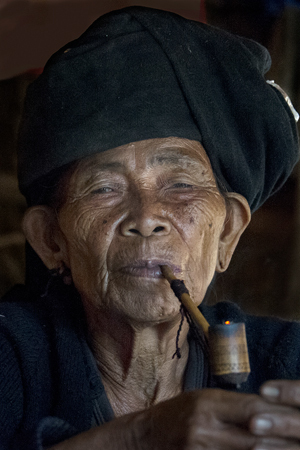 A pipe smoking woman in a village near Kyaing Tong. 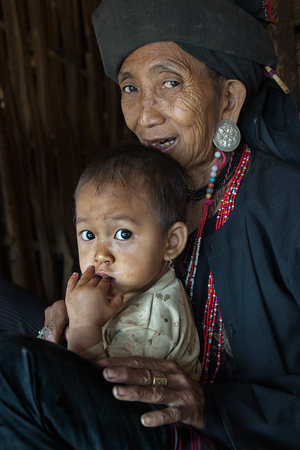 Two Padaung girls in theit cottage near Kailow. A rainy day that’s why this child is not playing outside. 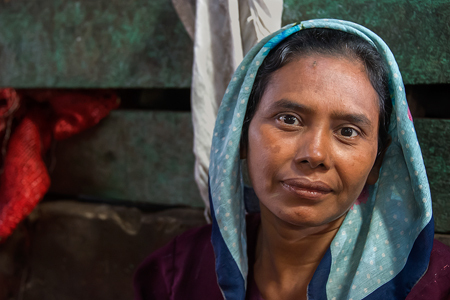 A Rohingya woman in the Rakhine State looking worried because of the social unrest. Als vanouds, Erny. Bijzondere foto’s bij “dark light”. Mooie portretten, die ogen, die rimpels, dat doorleefde. Je hebt weer een mooie serie neergezet. Ik hou van oude koppen, door het leven getekend. Misschien worden onze koppen ooit ook eens de moeite waard voor fotografen. Prachtige portretten van mensen waar het leven van af te lezen is. dat kleine sprankje vuur in de pijp geeft een heel bijzonder beeld.